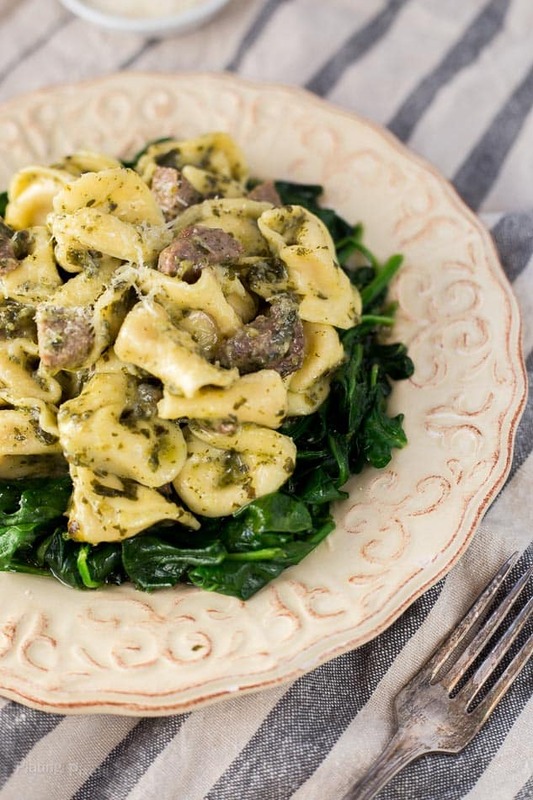 Steak Pesto Tortellini Pasta makes an easy weeknight dinner recipe. Cheese filled tortellini, tender steak, garlic and fresh spinach coated in pesto sauce. Let’s face it, life can get busy at times. In fact there’s pretty much always something to do. It’s important to prioritize, do things one step at a time and get the most important things done first. When you take a step back and look at the big picture, a busy day is just that—one day. 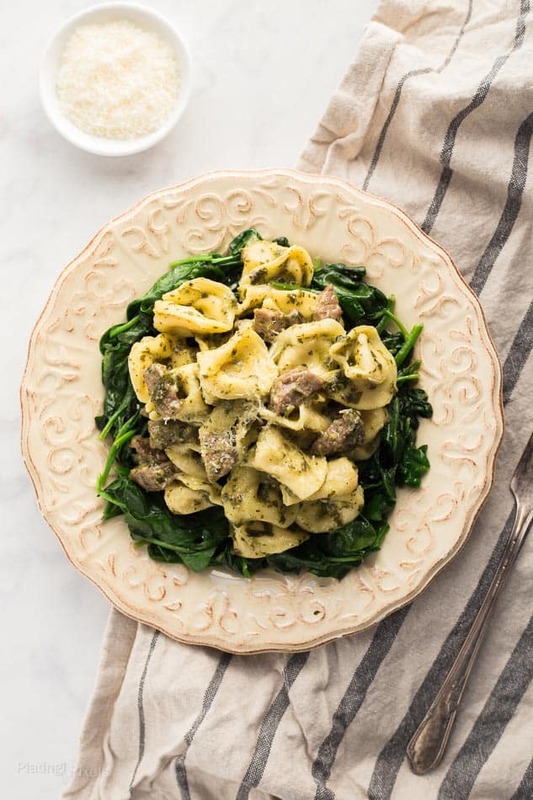 To help with those busy days, you’ll want a simple recipe like this Steak Pesto Tortellini Pasta that you’ll feel proud to serve your family. The beauty of this recipe is it’s a just a handful of ingredients that culminate into a unique and flavorful dish. It’s classic Italian flavor, but with wholesome ingredients like fresh pasta, lean steak, olive oil, garlic and spinach. Fresh, vibrant and colorful flavors bring this dish to life. For made-from-scratch pasta flavor, I used Buitoni Three Cheese Tortellini. 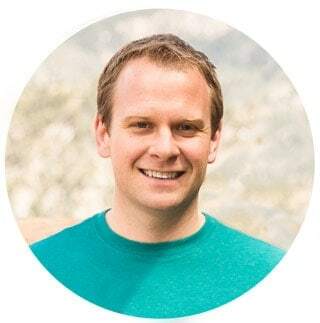 Look for their varieties of fresh, no-GMO pasta made with ingredients like clean-label vegetables, without preservatives or artificial ingredients. 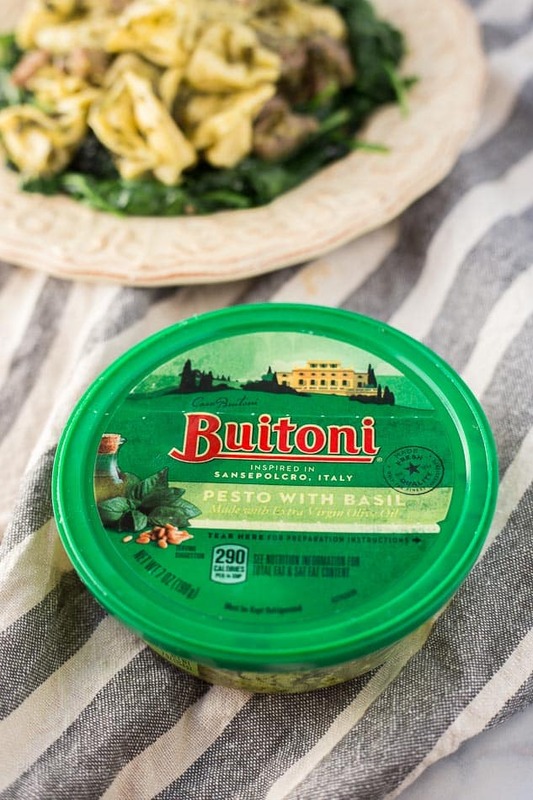 The Three Cheese Tortellini is full of creamy, herbed cheese held in perfectly tender fresh pasta. Skirt steak adds additional flavor and protein to this already balanced recipe. The small pieces cook quickly and save you time. Add a bit of sauteed garlic, fresh wilted spinach leaves, and stir together with Buitoni Pesto sauce. 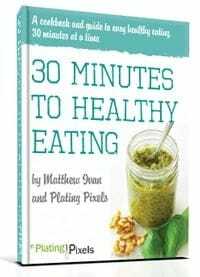 You’ll have dinner ready in no time, well in less than 15 minutes at least, and at the table before you know it. Life gets busy, but dinner can be more than just a meal—it’s about sharing the vibrant colors, moments and joys of life with those closest to you. Flavor profiles: Meaty and cheesy with fresh flavors of basil and spinach. Texture: Creamy filled tender tortellini with soft steak bits. 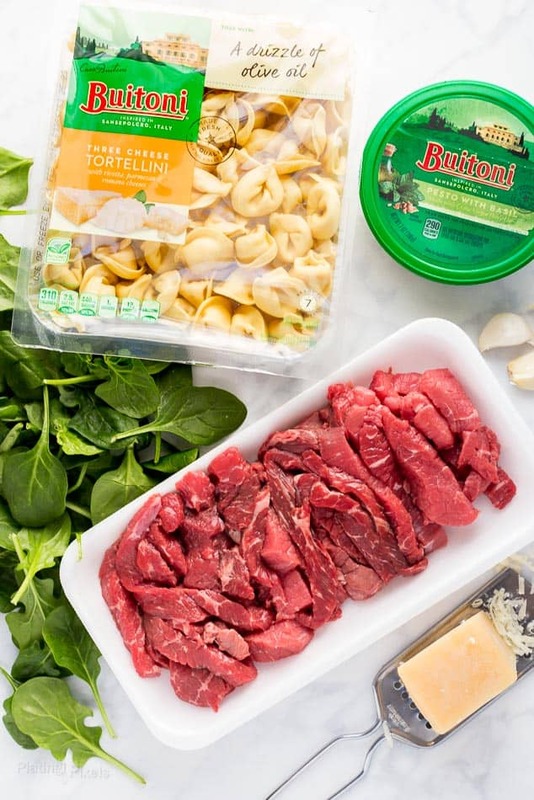 Steak Pesto Tortellini Pasta for an easy weeknight dinner. Bring a large pot of water to boil, lightly salt if desired. Add tortellini and cook 7 minutes, or until al dente. Drain and rinse, set aside. Meanwhile: Heat 1-tablespoon olive oil in a pan to medium-high heat. Add steak, sprinkle with salt and pepper. Cook 5-7 minutes, stirring often, until browned and internal temperature reaches least 145°. Cut into smaller pieces and set aside. Wipe off pan. Heat remaining olive oil in same pan to medium heat. Brown garlic for 1 minute then add spinach. Cook until wilted. Stir in cooked tortellini, steak and pesto sauce; heat longer if necessary. Serve with freshly shredded parmesan as garnish. This dish looks so yummy, and I love the touch of the meat for a complete meal. I love that this only takes 20 minutes!! Looks great!! That looks wonderful! I’ve never thought to add steak to a pesto dish, but that’s brilliant! Oooh! How yummy does this look? Love a recipe that is quick & easy but has such big flavor – great shortcuts packed with flavor!